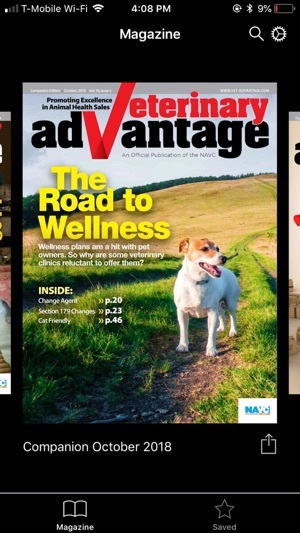 Vet-Advantage Magazine is the only publication focused on activating the animal health distribution channel. Our mission is to actively engage, educate and inform animal health distributor sales reps (DSRs) enabling them to increase their value to their customers, suppliers and own companies. Our primary reader is the DSR, both inside and outside, as well as management, executives, customer service and operations/purchasing. 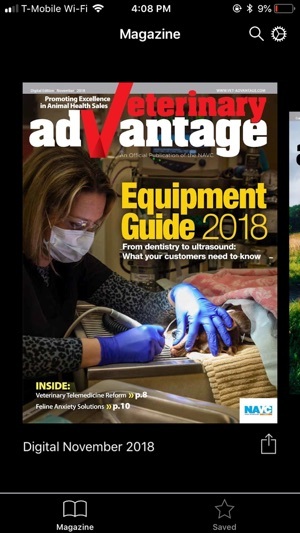 We enhance the skills of those who touch the veterinarian customer by providing high level content on the industry including insights on market and economic trends, new products and technology, as well as cutting edge sales and marketing advice from industry leaders. A key component of our mission is to bring the distribution and manufacturing communities closer together. We play a role in making animal health a better and more productive business, to the benefit of all its constituents: distributors, manufacturers, veterinarians, vet techs, office personnel and the animals under their care.